Userlike Live Chat SugarCRM, Inc.
Live chat for website and messenger support. Be there when your customers need you the most. 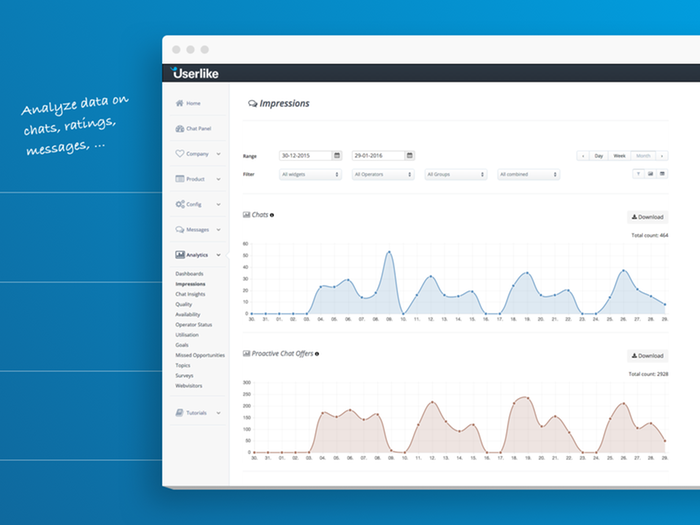 Userlike unlocks the channels to your customers' hearts. Message your customers in real-time via your website, Facebook Messenger, or Telegram. Your customers could be anywhere. 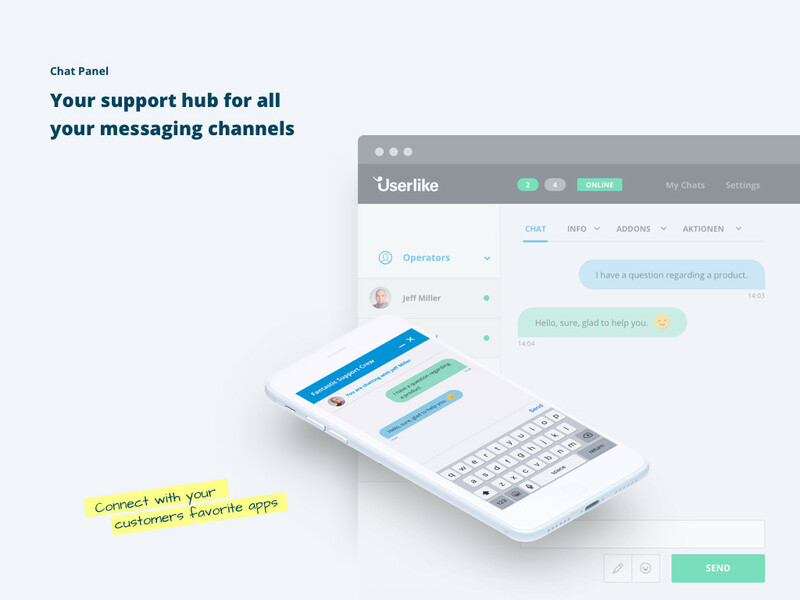 Whether they're browsing from their desktop, chilling on the couch with their tablet, or sitting on the bus with their smartphone – Userlike guarantees an optimal live chat experience. Help your customers when it matters, where it matters. Whether you’re a one man show or a multinational with hundreds of service employees, we've got your back. Userlike is used by some of the world’s fastest growing companies. Our system is easy to scale when your website traffic and support team increase. 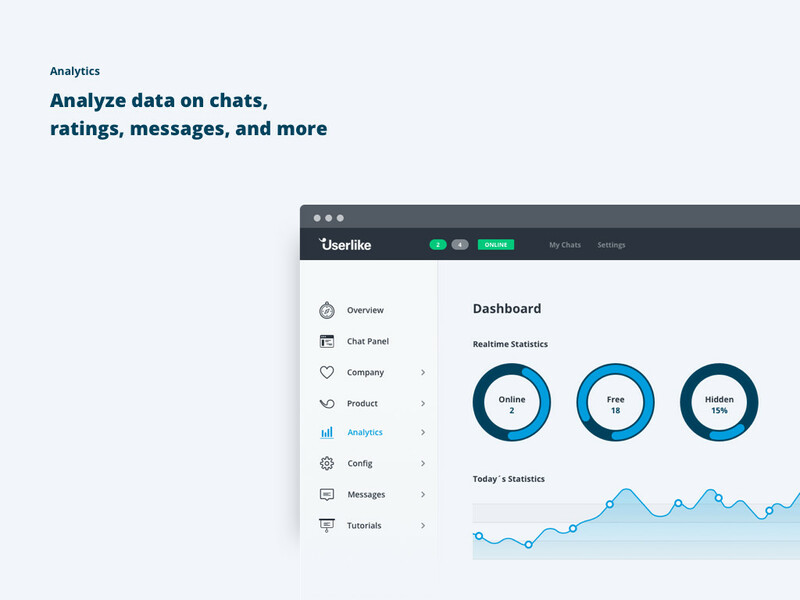 As an additional channel, your live chat should be integrated seamlessly into your existing setup of business tools. We offer a wide range of CRM integrations and offer an Open API for a more advanced setup. 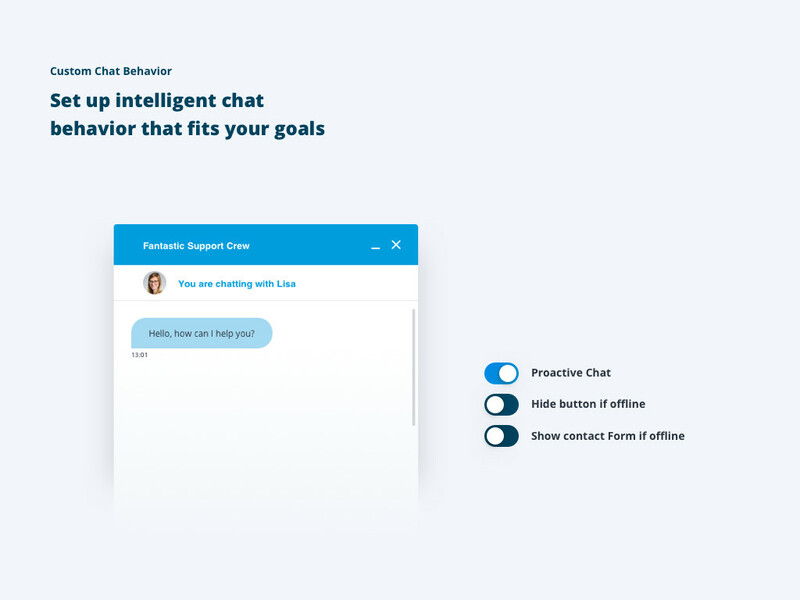 Push your user information to Userlike and give your chat operators the information to offer a personalised service, or pull chat transcripts and offline messages to your CRM. Don’t take our word for it. Over 10,000 SMEs and leading businesses around the world are creating long-term customer relationships with Userlike. Start chatting today with our forever free plan. 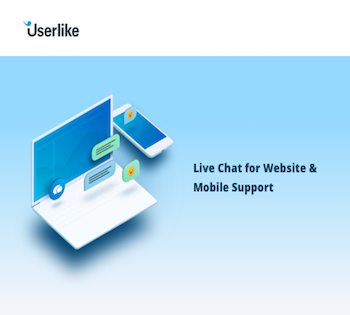 Userlike live chat software helps you convert your online visitors into customers, by assisting users with their issues and guiding them into checkout. Nurture satisfied and returning customers with our easy-to-use and powerful tool. 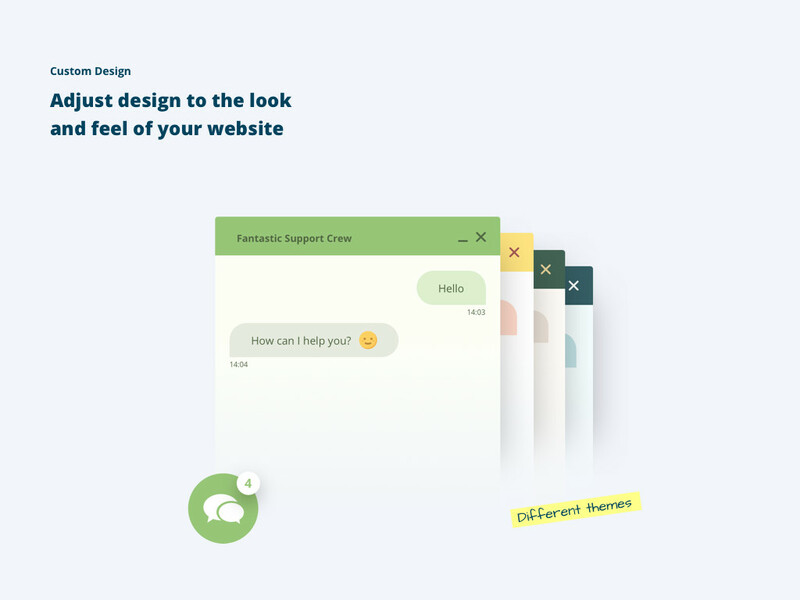 Userlike includes many features to help you gain and retain customer information for better support them, at any time. Learn more about your users, where do they come from, what is behavioural website path, which products or services are they interested in, and much more. All at your fingertips at the moment they start a conversation with you. 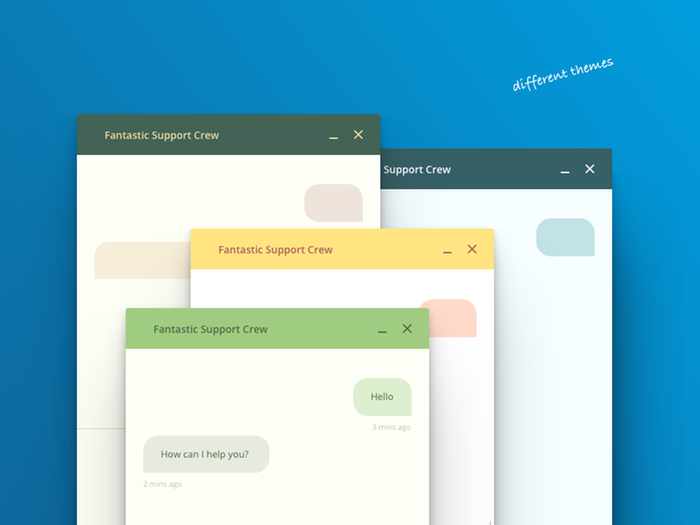 Your friendly support bot welcomes your web visitors, collects their questions and info, and notifies your team about the chats via Slack or email. 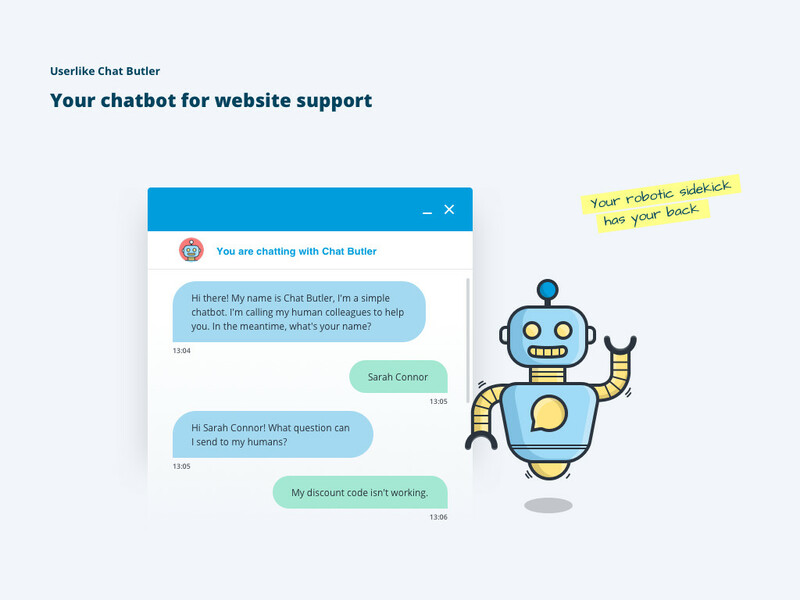 Once a human colleague becomes available, Chat Butler forwards the chat.